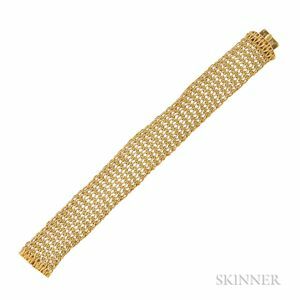 18kt Gold Bracelet, Tiffany & Co., Italy, designed as a woven bombe strap, 45.5 dwt, signed, lg. 8 1/2 in. Slight and minor impressions at edges, not obtrusive. Overall very good.